I tend to be the kind of girl that tosses her clothes onto the bedroom chair and lets it get higher than the rockies before actually putting it away. 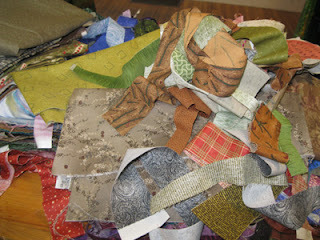 Same goes with fabric scraps. You know, those pieces of fabric that you can't really toss but can't really see yourself making a project with yet. Or maybe, like me, you get gifted fabric scraps from friends who are cleaning out their basements. However you got them, you're now left looking for a way to store them. Luckily, I was able to stack mine in our linen closet, but you can try these tricks if your home is even smaller than mine. 1. Shelves and drawers: The simplest solution is to fold them nicely and place them in shelves or drawers. 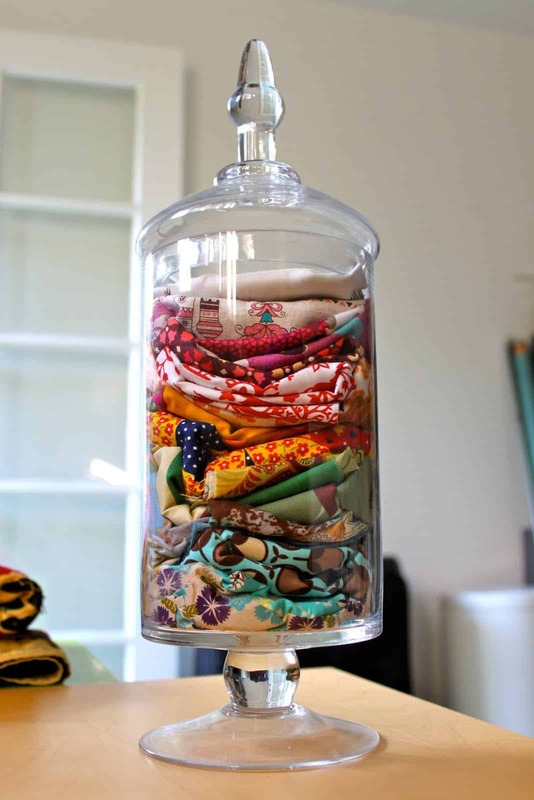 This might require you to find new homes or donate whatever was in that space to begin with but now you've got a little sanctuary for your fabric. Make sure to keep like with like. Try not to mix cottons with polyesters. 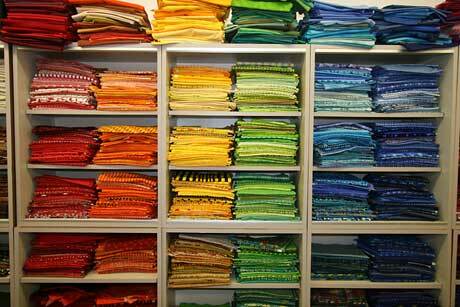 You can even take it a step further and sort them by color or theme. 2. Under the bed storage: Although we didn't use these for fabric, we use them for items that don't get used in the current season. For example, under our bed, our container holds our heavy sweaters for winter. You can get them anywhere like Walmart. 3. If you're really into sewing, you might want to create some mini bolts like Missy from The Little Green Bean. 4. You can even use those scraps as a decorative piece like Jaime from Pretty Prudent! Have any other ideas for storing fabric? Leave them in the comments below or post them to our Facebook page!